Whether it’s about his utter disdain for the Jerusalem artichoke, irresponsible welly-wearing, embarrassment at goose courtship rituals, or the highly-emotive pasty ingredient debate, it’s fair to say Pete Cross likes to get a few things off his chest. 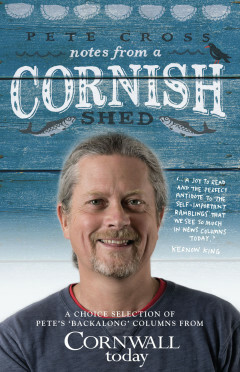 This Son of Kernow has also had plenty to say about the chough, the subject of his previous book, 2007’s superb children’s novel Shadows In The Sky, and that rare avian visitor’s return tied in nicely with Pete’s own Cornish homecoming after a couple of decades ‘up-country’. And now a collection of his monthly magazine Backalong musings for Cornwall Today have seen the light of day in paperback form, in the wondrous Notes from a Cornish Shed. Pete left Cornwall sometime in the 1980s, working in publishing houses in London and back-packing around the world before returning in time for the new millennium, setting up home with his wife in a miner’s cottage on the North coast, coincidentally around the same time that news broke about those new sightings of the chough. This keen birder committed his thoughts on a passion for Pyrrhocorax to print, with one article published in The Times (a ‘rather emotional choughy piece,’ as he put it). Soon after, he was offered a column at Cornwall Today. And the rest is history for his veritable Trelawney’s Army of fans. That includes this blogger, a regular Cornwall Today reader since first clapping eyes on the mag while holidaying in Lelant in 2001, soon forking out for annual subscriptions. Pete’s writing quickly stood out for me, and I felt real kinship, not least in a shared love for a county I’ve known as a holidaymaker since the early ’70s and one linked to my family since the turn of the last century. And it’s fair to say Notes From a Cornish Shed, his edited selection of those columns, written in his hillside back garden cabin over the years, is everything I hoped it would be … and more. Pete will get a bit embarrassed about all this hyperbole, but many of his readers feel this way. Sometimes his words and stories make you laugh out loud (and I don’t mean in the modern, transparent social media style), sometimes his more poignant pieces give proper food for thought, and sometimes you’re left in all-too vocal agreement, noisily extolling the sentiments he expresses. I was hardly half-way through the introduction before I was gone, so to speak, unable to suppress my inner mirth as Pete explained the initial inspiration for Backalong, and how that spread from memories of past days in his beloved homeland to a far wider remit. Pete quickly realised he wanted to write about the Cornwall he knew back in the ’60s and ’70s, and how it had changed since he’d been in exile – sometimes for the better, sometimes for the worse. And maybe that’s one of his chief strengths – for these aren’t cliched tirades slamming every ‘in-comer’ that ever set foot across the Tamar. Instead, he takes a more reasoned approach, from the measured viewpoint of someone who’s properly lived, on both sides of the border. That doesn’t mean he sits on the fence either (although I’m sure there’d be a few Cornish who’d like to put a fence up in the middle of that great river), but he seems to know what he’s talking about, and expresses that so well. For one thing, he’s quick to acknowledge it wasn’t all roses (actually, he has a lot to say about the British love of the high-maintenance rose too) back in the old days, much preferring today’s iPod beach experience to the days when Simon Bates’ cheesy Our Tune cut across the sand from every other transistor radio while you tried to remove oil from the Torrey Canyon from between your toes. In fact, time and again Pete re-examines the impact of the holidaymaker since the dawn of the tourist era, challenging that popular perception of the emmet-despising local. There are a few bits you might expect, like debates on clotted cream, pasties, and how small T-junctions became big roundabouts while this Redruth-born Truro lad had been away. He also tackles surf culture and the glory of the Cornish coastal path, and notes how his county became fashionable in his absence, making him wonder why he’d bothered suppressing his accent in a bid to fit in on arriving in London. You also see another side of Pete in a piece diarising his night-time RSPB volunteer’s shift at Southerly Point on The Lizard, protecting his beloved choughs’ eggs from low-life rustlers, pensively describing how in the early hours he realised he must be the first person in mainland Britain to feel a band of freezing cold rain slipping down his neck. I reckon he’s at his best offering those afore-mentioned in-comers advice on how to fit in with the locals – such as not wearing shorts out of season (unless you’re a postie) or nautical-themed clothes unless you own a boat, and generally not trying too hard. 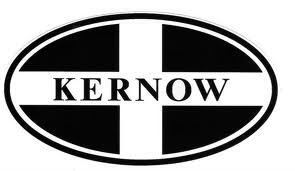 A related piece on Kernow car stickers is a particular favourite, not least an anecdote about how he frightened a young woman in South-West London traffic when he saw her car’s St Piran’s flag symbol, lifting his motorbike helmet visor to emit an excitable ‘Oggy Oggy Oggy!’ greeting. Then we have Pete’s take on all those dodgy Cornish accents on TV, from Poldark to Doc Martin, the latter of which he believed was set in Dorset or Somerset at first, judging by the actors’ phoney voices. There’s plenty more too, the subjects ranging from the British penchant for killing house plants to unfashionable appreciations of the invasive grey squirrel and herring gull. In short, whether you’re a ‘Cousin Jack’ living halfway across the world, an incomer who doesn’t conform with that second-home stereotype, or – like me – someone harbouring a dream of one day moving to Cornwall, this book is for you. Come to think of it, I reckon there’s resonance for a lot more readers too, maybe even – whisper it – a few Devonians. If you know Cornwall Today and Backalong, you’ll have read a lot of these pieces before, but may have half-forgotten how good they are. If you don’t, maybe it’s time to start. You don’t have to read it in order either. You can dip in and out as the mood takes you. A few themes link, but they all stand up to individual scrutiny. And while Pete can be mildly inflammatory, he can only really offend you if you’re a bottled water quaffing, sanctimonious opera buff with an immaculately-stacked pile of logs on display in your second home, which you have no intention of setting light to. At a time of year when we seek perfect stocking-fillers, Notes From a Cornish Shed is funny, quirky and … erm … bleddy well written. 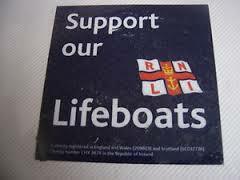 Even if you’re not from Trepiddle and have never felt the need to scour a breaker’s yard looking for a faded Lifeboats sticker for your back windscreen. Incidentally, I’ve got the first two volumes of Minty Fumble’s A Puffin on the Aga at writewyattuk HQ if anyone wants to bid for copies. If you’re reading this in time, Pete’s also set to pitch up (with a pasty and a pint of Betty Stogs, probably) to sign up copies at Waterstones in Truro at 11am on Saturday, November 30. 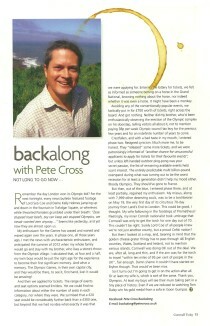 For more information about Pete Cross, try here. 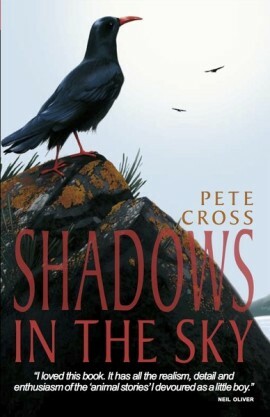 And for a writewyattuk review of Pete’s 2007 children’s novel, Shadows in the Sky. head here. This entry was posted in Books Films, TV & Radio and tagged Cornwall, Cornwall Today, Kernow, Notes From A Cornish Shed, Pete Cross, Shadows In The Sky, Truro. Bookmark the permalink.